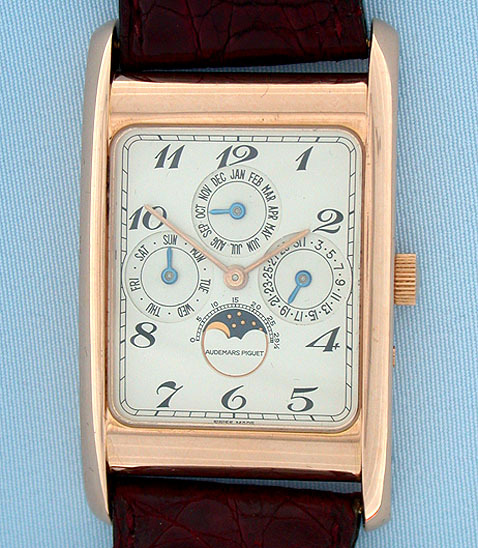 Fine and large Audemars Piguet oversize 18K red gold perpetual calendar wrist watch circa 1995. Silver dial with black numerals and calendar and moon phase indications. 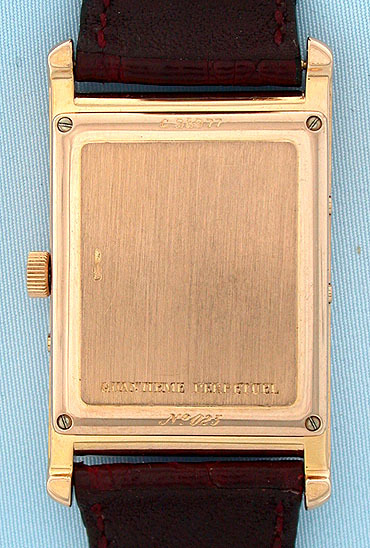 18 jewel calibre 2003/2 movement. 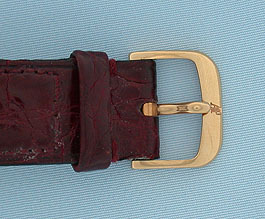 Heavy large case with original strap and original gold buckle. With box and papers.